Guess who’s holding the bat in the front row? It’s Stubby, of course! Various baseball accouterments are scattered among the boys, and the girls look none too thrilled (but I love those hair bows). There was no date on the photo, but it was most likely taken in Elkins, WVa., when Stubby lived there as a child. I’m guessing the kids here are around 8 or 9. If that’s the case, this photo was taken around 1911. Do you agree? 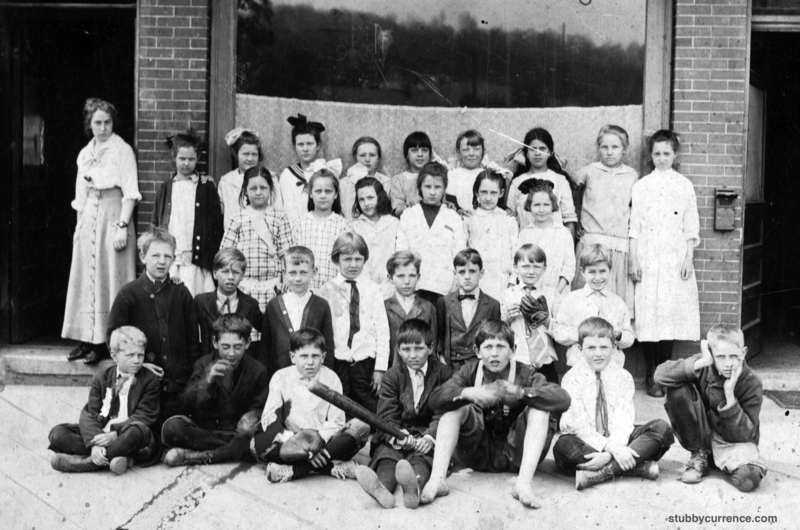 I’m not sure what school Stubby attended in Elkins, but it could have been in “the old Central Building that still stands and is now occupied by apartment dwellers,” according to Randolph County Schools. P.S. I hope all the dads out there had a great Father’s Day yesterday! It’s tough work being a dad, so thank you.